Winterhaven Registration Night is Wednesday, August 24th from 4 - 6 pm in the Winterhaven gymnasium. Teachers will be present and it is a time for incoming and current families to connect with other Winterhaven families. This is also a great opportunity to sign up for carpooling, after school clubs, volunteer opportunities, and to learn about upcoming events. Mr. Sandilands will give a brief presentation for incoming families in the auditorium at 5pm. Part of the Registration Packet is a request for a $30 donation per child. Our school wants all students in each class to have the same number and type of supplies. This covers the cost of pencils, glue, markers, paper, and all the other supplies we provide for the classrooms. This donation replaces a standard school supply list, and families are not required to purchase any of the binders, papers, folders, pencils, etc. that are typically required at other schools or districts. 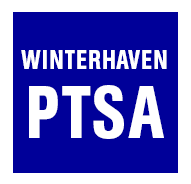 Checks can be made out to Winterhaven School. This night is also when middle school students can pick up their schedules and receive their locker assignments. Kindergartners will have an assessment prior to their first day of school and parents can sign up for their student's assessment time during Registration Night. Thank you, and we'll see you on the 24th!